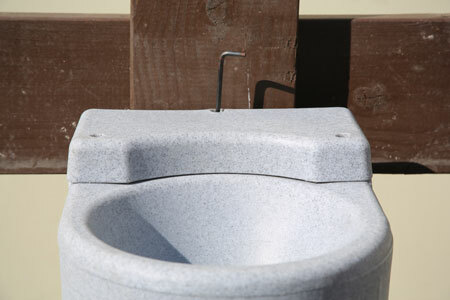 Congratulations on your selection of this Equuspring horse waterer. Features were incorporated into this waterer to make it the most reliable, easiest to service, sanitary and rugged unit available today. 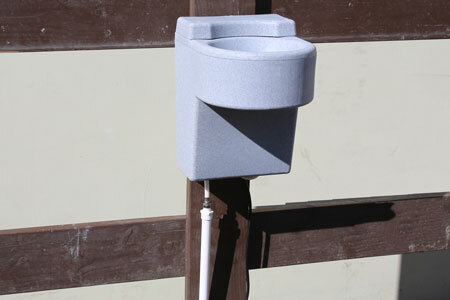 The key to long, trouble-free service life for this waterer is proper initial installation. Please take the time to carefully plan that installation for your application using these instructions as a guide. 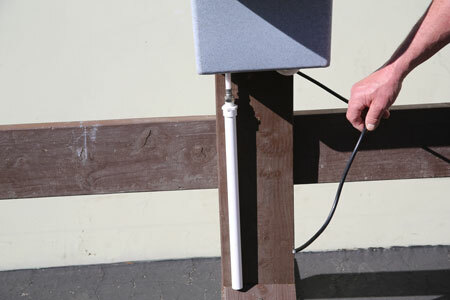 The waterer is supplied fully equipped to be surface-mounted using the dove-tail fixture, or may be mounted on a pipe corral using the supplied brackets. If mounting with the wedge, position the wedge at the correct height where the waterer is to be mounted. The wedge should be mounted vertical to the ground. Drill holes through the three mounting holes in the wedge. 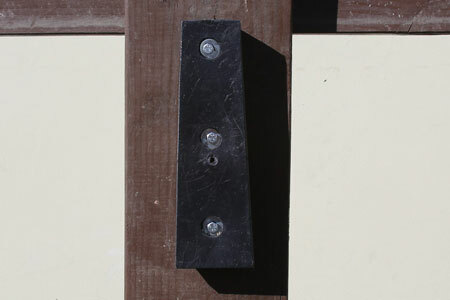 Attach it using the supplied lag screws. The back of the waterer slides down over the mounting wedge. Tightening the set screw secures the waterer onto the mounting wedge. 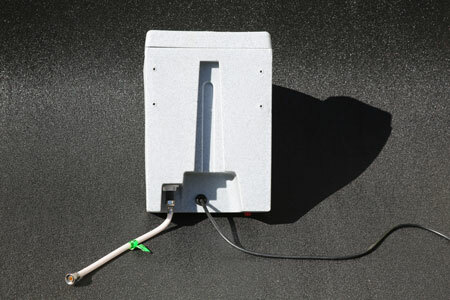 The preferred supply water installation is a well supported ½ inch water line which terminates with a ½ inch male shut-off valve located near the skirted recess at the back of the waterer. It is advisable to equip the supply water system with an in-line filter to minimize particulate from reaching the float valve. Screw the metal (open) end of the hose to your water supply valve shaping the hose to fit within the skirted area as much as possible. The water and heater connections attach at the back in a “pocket”. Position the incoming water line so that the ½” female fitting of the hose can be attached. Water pressure must not exceed 60 PSI. An inline water filter is recommended. Heated waterers come with a 30” electrical cord. Care must be taken to properly ground the incoming power line. Overflowing: Remove the top-mounted float valve housing and check for position and free movement of the float. It should be located so the float freely moves up sufficiently to stop water flow. It is not necessary to remove the waterer from the wall or corral to perform float valve service. If the float valve position is correct and water in-flow continues, the valve seat is fouled with sand, grass or particulate and does not seat. The valve should be cleaned, or if it still fails to seat, replace it with the spare valve seat contained on the float lever. If you have any questions about this product, or other Equuspring equine products they are welcome by phone, letter, email or fax.